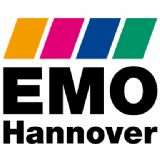 EMO Hannover, the leading trade fair of the sector, presents an unequalled width and depth of products and services throughout all production areas, from the nucleus machine tool, to precision tools, to linking devices and industrial electronics. A fact known to and acknowledged by the specialist world. The exhibitors at EMO Hannover come from all over the world. They put their efficiency and innovative power to the test before the best qualified specialists. The internationality among visitors is unparalleled. Decision-makers in production technology use EMO Hannover as a point of orientation. Investment decisions are made here! 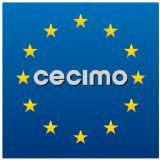 VDW (The German Machine Tool Builders' Association), is entrusted with the organisation of EMO Hannover.